As a supervisor, your main role is to assist and support research students throughout their academic studies. Supervisors have an extremely important role within the College, not only in terms of supporting research student progression but also in terms of the overall student experience. You may be appointed as a main supervisor or a co-supervisor to one or more research students and it is important that you know what your role is in terms of supporting and supervising each individual student. With that in mind, the College has developed several helpful documents to support you. Main supervisors can download the College's document, Roles and responsibilities for the main supervisor [pdf]. It is also important for each supervisor within a student's supervisory team, whether that be the main supervisor, co-supervisor(s) or assistant supervisor(s), to understand their role in terms of supporting the student. Main supervisors are responsible for leading these discussions with the team and communicating the outcome to students. Defining the Roles and Responsibilities of Research Degree Supervisory Teams [pdf] is a helpful document to faciliate those discussions. provide students with career advice, noting however that some students may not wish to pursue an academic career and that the College has a dedicated Careers Service. be mindful of the pastoral and wellbeing needs of students and be ready to sign-post to other support services when necessary. Supervisors also have an important role in terms of supporting student work-life balance and wellbeing. This is covered in other sections of this website. Imperial Expectations guides the behaviour of all College staff. Its seven statements shape the working lives of all of us. They show how we respect and support each other in achieving personal goals and the College's strategic objectives. They directly impact on what it feels like to work at Imperial and they are a public statement for attracting new staff. Main supervisors are responsible for all health and safety aspects relating to their students' research, although some of the day-to-day responsibilities may be devolved to co-supervisors or assistant supervisors. Main supervisors should ensure all relevant risk assessments have taken place and that students have received appropriate training in order to carry out their research safely. There is general College guidance but additional Faculty policies may apply. In particular, the latter applies to lone working and working out-of-hours. Health and safety responsibilities of supervisors are detailed on the College’s Safety Management pages. It is important for supervisors to champion inclusive working practices. An inclusive working environment should embrace the richness of diversity of backgrounds, culture, gender and perspectives of staff and students of the College. The College has a range of resources available which provide support, guidance and information for all staff about equality, diversity and disability needs. The College's Equality, Diversity and Inclusion Centre (EDIC) can provide specialist advice. More than 1,000 current Imperial students have declared a disability, a figure which is increasing each academic year. It’s also worth noting that 65 per cent of impairments are unseen. Imperial ascribes to the Social Model of Disability. Unlike the medical model, the Social Model is not solely concerned with what the body can or cannot do but focuses on the barriers that prevent disabled people from participating equally in society. The problem is not disabled people themselves, but the environmental, institutional and attitudinal barriers they face. referring students to the departmental disability officer or to the College's Disability Advisory Service for specialist advice and support. Importantly, research students with physical or mental impairments, specific learning difficulties or who have other specific needs may be entitled toadditional arrangements and/or reasonable adjustments, so you are advised to get in touch with your department’s Disability Officer for further information on supporting your student. The Disability Advisory Service (DAS) works with individual students, no matter what their disability or level of study, to ensure that they have the support they need. Disability Advisors are committed to providing the best possible support for all students at Imperial College. They understand that each person's disability can affect them in different ways and therefore the support offered is flexible and tailored. The DAS can also help students who may have an unrecognised issue or specific learning difficulty such as dyslexia. DAS is also here to support students who may have a temporary or short term disability. Departmental Disability Officers are the first point of contact within your department. If you have any queries or concerns about your student, please talk to that individual or you can get in touch with the DAS. Supervisors' Guide: Professor Sue Gibson on the roles and responsibilities of supervisors. 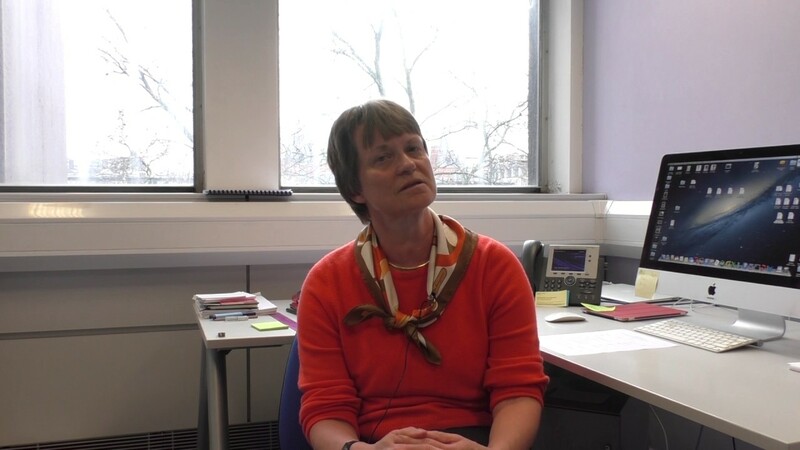 Professor Sue Gibson, Director of the Graduate School, talks about her top tips for supervisors.